Home » Expert Columns » Home & Garden » Organizational Skills » Holidays on the Horizon! As a nation we’re all feeling the pinch financially. It’s difficult to find the line between all out celebration and being responsible, isn’t it? I don’t think we have to have an either/or situation. We can celebrate this festive time of year and keep a lid on spending. How? With an organized plan of attack and a well crafted budget. Are you ready to begin? I have a few questions for you. Why not grab your Zen Organizing Journal or just a few sheets of 8 ½ by 11 paper, your writing tool of choice and get settled in a comfortable chair. Do you exchange gifts as a rule? If you pare your list down to the bare minimum, how many folks are your buying for this season? Do you have family traditions that dictate what is given or how much is to be spent per gift? Or is it a free for all? Can you institute a ‘no gifts over $20’ policy for this holiday? What about a (silly) prize for the most creative choice? Are you a big party person? Will you be going to or hosting any parties this year? If so, which ones and what is the scope? A family Christmas dinner is vastly different from a New Year’s Eve bash in terms of cost. If you aren’t a big party giver but love to attend, is your dance card full this year? What kind of hostess gifts are you planning to bring? Would it be more responsible financially for you to stay home this year rather than face the airport crowds and fly home? Would the train or a bus be a viable, less expensive option? Can you drive instead? Sometimes it isn’t the financial cost but the cost in time, energy and emotions we just can’t pay. Speak up and be honest. Maybe you can surprise the family next year for St. Patty’s Day or Veterans Day? You know, be creative! Skype in Christmas morning and show up later in the year! Before you start making concrete plans, do you have a budget? I’m not talking about a vague idea of what you can afford, I’m talking about a nitty-gritty, nuts & bolts plan. Factor in every expense from gifts to travel to parties to tape & ribbon for all those packages. Every extra expense counts. My mother’s last surviving sibling lives on a farm. I know she wanted me to come for a visit this Thanksgiving but I just can’t face those crowds at the airport. Weather is a factor that time of year as well. Images of travelers stranded at an airport danced in my head when I got the invitation. I went for a visit a few weeks ago instead. We got to laugh, chat, eat and do some organizing projects for a week even though it wasn’t an official holiday. Those red and gold autumn leaves put on quite a show! Once you know what you want to do, how much it will cost and what the elements are, you need to schedule items on your calendar. You don’t want to be in the store for example the day before Thanksgiving scrounging for fresh vegetables or settling for a ‘Ziggy Tree’ on Christmas morning because the lots are empty. Plan out your desired activities with the precision of a general. And remember what makes generals so successful: they know how to delegate. You need to know what you have to do but you need not be the one doing it all. Do you feel a bit relieved already? I’ve got limited space here but never fear I do indeed have you covered. The month of November in One Year to an Organized Life is chock full of detailed instructions and tips to make Thanksgiving dinner a big success. As the Mother of all Dinner Parties if you master this holiday other forms of entertaining will feel like amateur night. And of course in December I have detailed instructions for organizing the big celebrations of the month. And that includes not going over with those decorations you’ve been collecting for decades! The goal at this special time of year is to add to your storehouse of delicious holiday memories. The goal is not to boost your credit cards, get sick from exhaustion and drag yourself into the New Year. These holidays will only come around once. Celebrate them in style, under budget and with ease. It takes a little organizing know how, some good old fashioned elbow grease and a determination to succeed. I know you can do it. This is no time for ‘same old, same old! 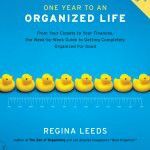 Known as “The Zen Organizer,” New York City native Regina Leeds has brought order to home and work environments across the United States since 1988 when she started her company, Get Organized! by REGINA. Currently based in Los Angeles, her clientele run the gamut from movie stars to business people and housewives. Regina has been named \’The Best organizer in LA\’ by Los Angeles Magazine and regularly travels throughout the United States to assist her clients. 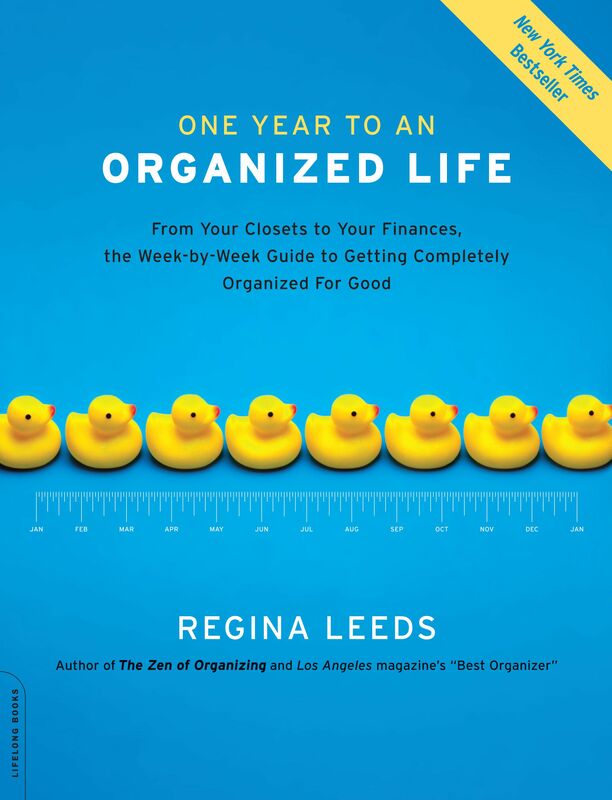 Regina is the author of several books related to organizing, and you can learn more about her on her web site.